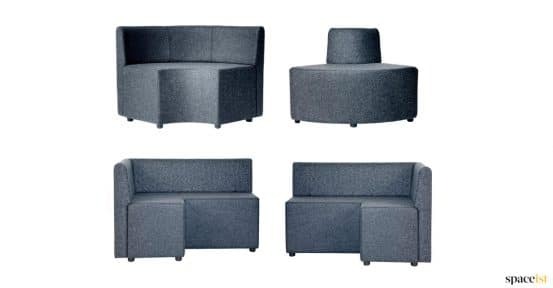 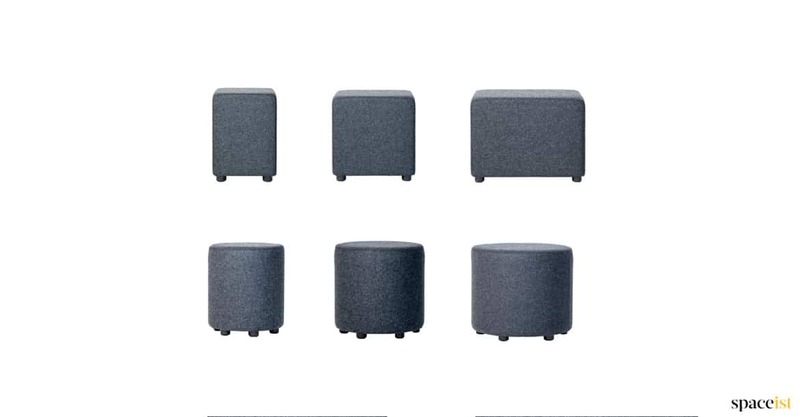 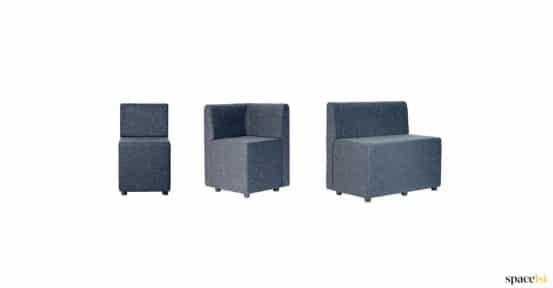 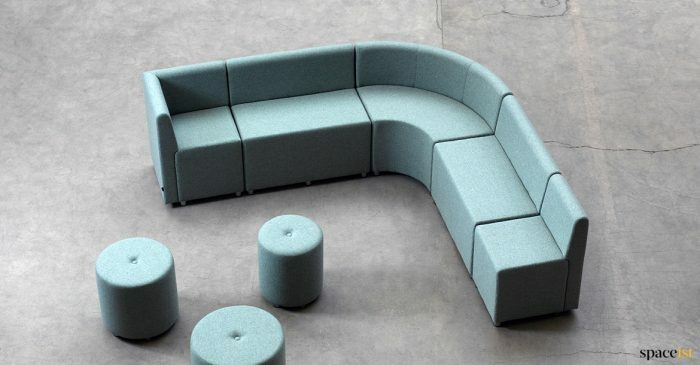 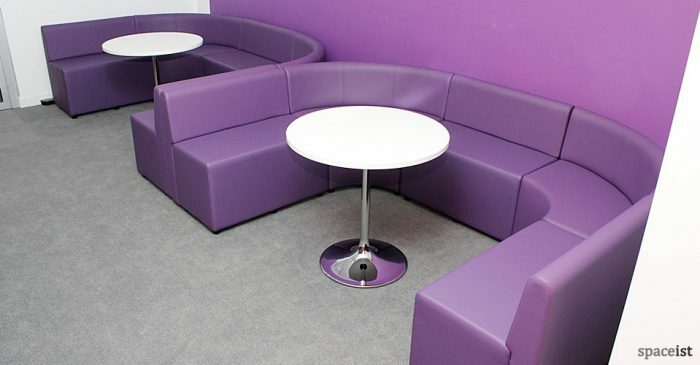 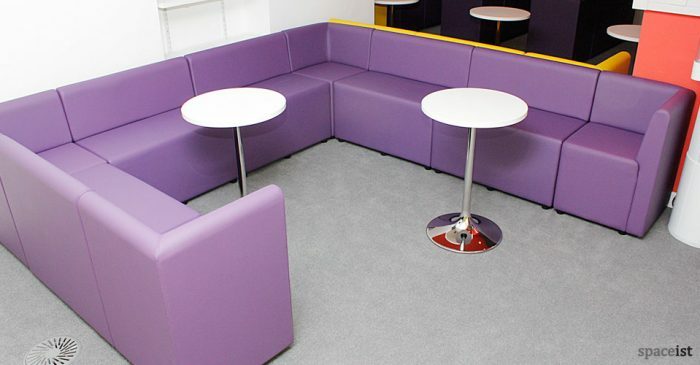 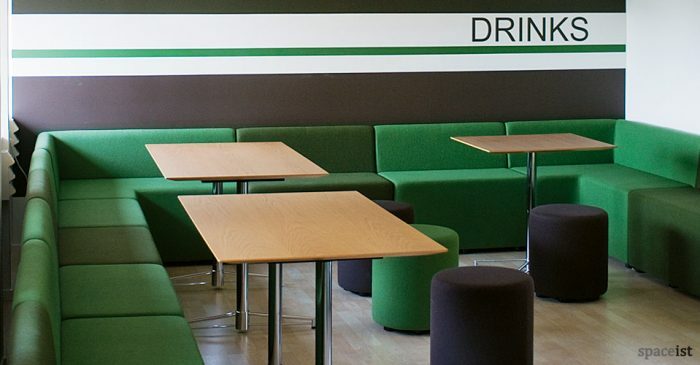 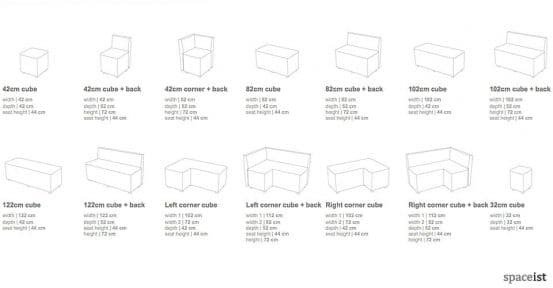 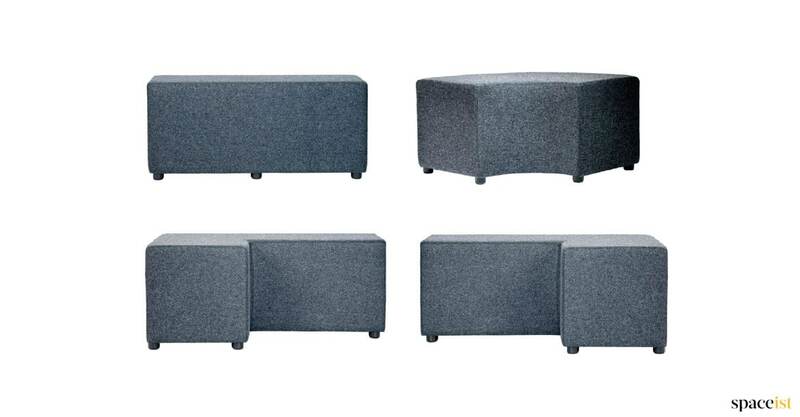 The Modular Cube range allows a squared angular seating layout. 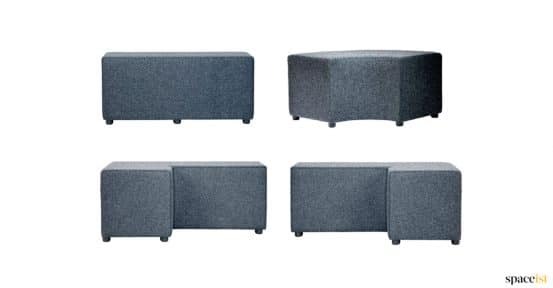 Benches can be joined in pairs or loose as shown. 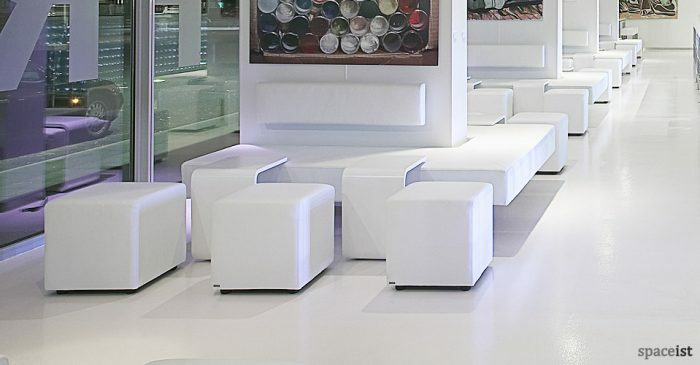 A vinyl topped table is also available as an alternative to laminate or veneer coffee tables. 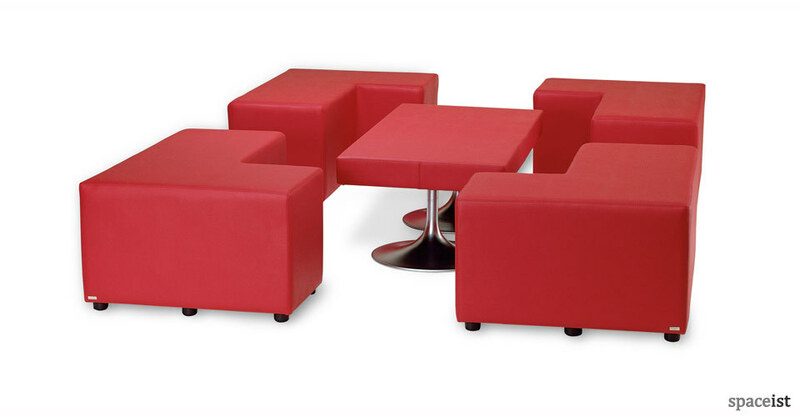 Please download catalogue for sizes and colours.